A growing number of deaths every year are medicalised and linger far beyond the wishes of the sufferer. While the standard of palliative care in Australia is very high and everyone is entitled to free medical and palliative care, it simply is unable to provide satisfactory relief for around 5% of terminal patients. Palliative Care Australia, the official body providing comfort care to the dying, acknowledge this. These patients can suffer intolerable pain and indignity, yet a request for assistance to die peacefully—the only remaining rational way to escape their illness’s torture—is denied by law. It is a serious criminal offence in Australia to help anyone, regardless of reason, to end their lives. Heavy penalties apply, including up to 14 years in gaol. and suffering advanced cachexia (right). Victorian journalist Steve Guest suffered from oesophageal cancer. Inoperable, the tumour quickly blocked Guest’s oesophagus so that he was unable to eat or drink and had to have a PEG tube inserted into his stomach for artificial nutrition and hydration. He lost half his weight and suffered frequent high-level pain that required large doses of medication. Guest complained that the pain medication was as bad as the pain because it was like having concrete in his head. He went public in the media to try and have the law changed… but Victoria’s Government did not act before Guest died. Tasmanian marine biologist Robert Cordover suffered Motor Neurone Disease, an irreversible deterioration of muscles that progressively paralyses limbs, swallowing, and eventually, breathing. Despite the best comfort care on offer, Cordover compared his disease to torture at Guantanamo Bay. Many times a day he felt like he was being waterboarded as he could not swallow his own saliva and nearly drowned. Not being able to turn over in bed at will meant he developed pains quickly, and this kept him awake, which he said was equivalent to Guantanamo sleep deprivation. 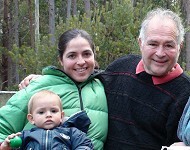 The Cordover family went public in the media with Rob’s plight and their deep belief that he should be afforded the right to make his own choice about assisted dying, but the Tasmanian Government did not act before Rob died. French school teacher Chantal Sebire, 52, suffered from a rare incurable and inoperable facial tumor called esthesioneuroblastoma. As the tumour ‘ate’ away at and disfigured her face beyond recognition it sent her blind, destroyed her sense of smell and taste, and spread to her jaw, making eating a painful labour. She suffered from frequent bouts of excruciating pain that could not be relieved. Chantal begged at the highest levels of government to be given assistance to die peacefully and with dignity. Her requests went unanswered. As Australians age, a growing number suffer lingering medicalised deaths, against their wishes. Despite very high standards of palliative care in Australia, intolerable suffering can't be relieved in every case. Palliative Care Australia acknowledge this. Effects can be painful, degrading or cause other intolerable suffering such as loss of critical faculties or a lingering death of dependency. Voluntary euthanasia and voluntary assisted dying, where a doctor may provide compassionate assistance to die to such a patient at their explicit and tested request, is illegal across Australia, with the exception of Victoria, where a Voluntary Assisted Dying Bill 2017 has been passed. Assisted dying for the terminally ill is legal in the Netherlands, Belgium, Luxembourg, Switzerland, and in the USA states of Oregon, Vermont, Washington, Montana, Colorado, California, Hawaii and District of Columbia. Significantly, all adults in Canada now have this choice, albeit under restricted circumstances, with their Medical Assistance in Dying Act, since June 2016.